Today is June 21st —Happy World Music Day!!! (Bonne fête de la musique!!! in France, where it all started) This week I bring you a whole variety of music genres. I do this by means of a Putumayo world collection vis-à-vis an artwork that in my opinion best portrays that particular music genre. Today I bring you Brazilian music through Putumayo’s music collection Samba Bossa Nova and the art of Brazilian pop artist Romero Britto. Samba is a Brazilian dance and musical genre originating in Bahia and with its roots in Brazil and Africa via the West African slave trade and African religious traditions. It is recognized around the world as a symbol of Brazil and the Brazilian Carnival. Considered one of the most popular Brazilian cultural expressions, samba has become an icon of Brazilian national identity.The Bahian Samba de Roda (dance circle), which became a UNESCO Heritage of Humanity in 2005, is the main root of the samba carioca, the samba that is played and danced in Rio de Janeiro. Bossa nova is a well-known style of Brazilian music developed and popularized in the 1950s and 1960s. 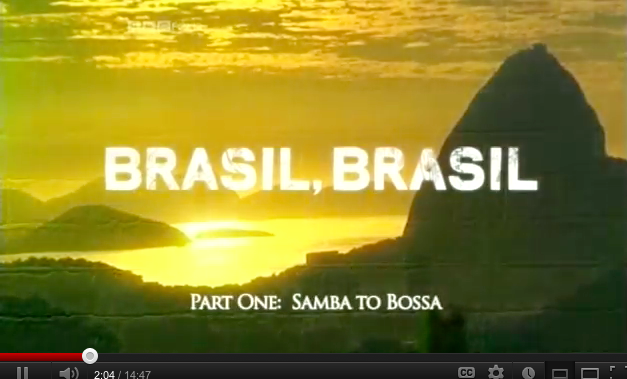 The phrase bossa nova means literally “New Trend”. A lyrical fusion of samba and jazz, bossa nova acquired a large following in the 1960s initially from young musicians and college students. Since its birth, it remains a vital part of the standard jazz repertoire. 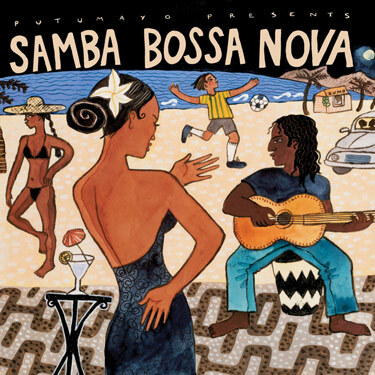 Putumayo World Music proudly presents Samba Bossa Nova, an alluring collection of Brazilian music from samba and bossa nova’s new wave. The classic sound of the past meets the voices of the future on this hip selection. The children of the bossa nova generation have come of age, and while many originally rebelled against their parents’ music, they are now returning to carry the torch of the bossa nova and classic samba styles. A number of the artists who appear on Samba Bossa Nova, Paulo Jobim, Jairzinho Oliveira, and Moreno Veloso, are the children of bossa nova’s biggest stars. Some use contemporary instruments like samplers, turntables and computers to add new elements to the classic bossa sound. Others simply seek to excel at a faithful interpretation of the classics. Still others write new material that does not imitate pure samba and bossa nova, but is clearly inspired by it. The result is a “nova bossa nova,” a new bossa nova that maintains recognizable links to the jazzy, samba sounds of a generation ago, while propelling the music forward in new and exciting directions. Romantic, richly melodic, subtly rhythmic, and entrancing, the songs on Samba Bossa Nova are perfect mood music that captures the magic of yesterday and the invention of tomorrow. 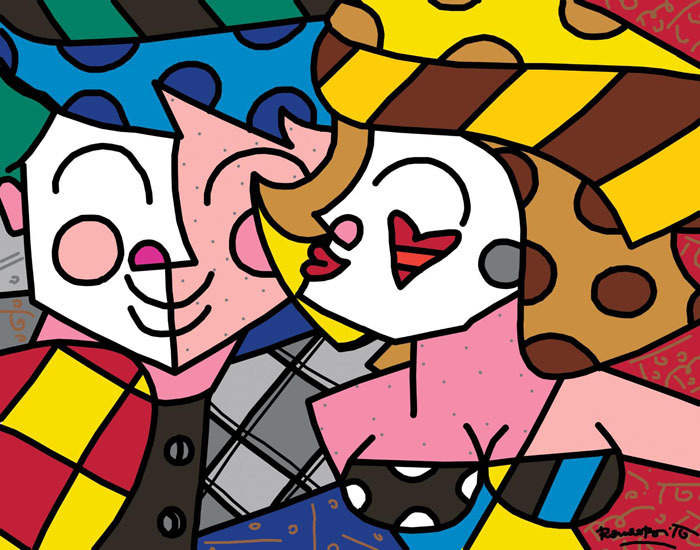 A modern-day pop-culture icon, Romero Britto is one of the premier pop artists of our time. As the youngest and most successful pop artist of this generation, Britto has managed to create contemporary masterpieces that evoke a spirit of hope and convey a sense of warmth. 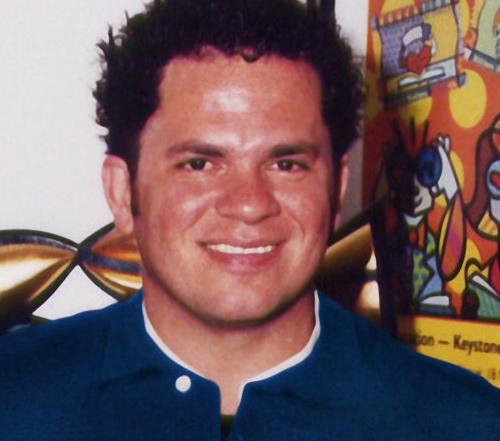 As a talented and creative child growing up in Brazil, Romero Britto often painted images on any medium he could find, including scraps of cardboard and newspaper. His inner passion and drive to excel served as a powerful asset for a young man with a longing to nurture his creative side and experience all that life had to offer. His innate love for learning inspired Britto to channel his focus and commitment to excellence into his artwork. This dedication is what has helped Britto become an international success during the past 18 years. 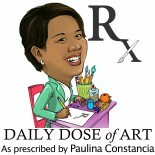 This entry was posted on June 20, 2012 by Paulina Constancia in Uncategorized.